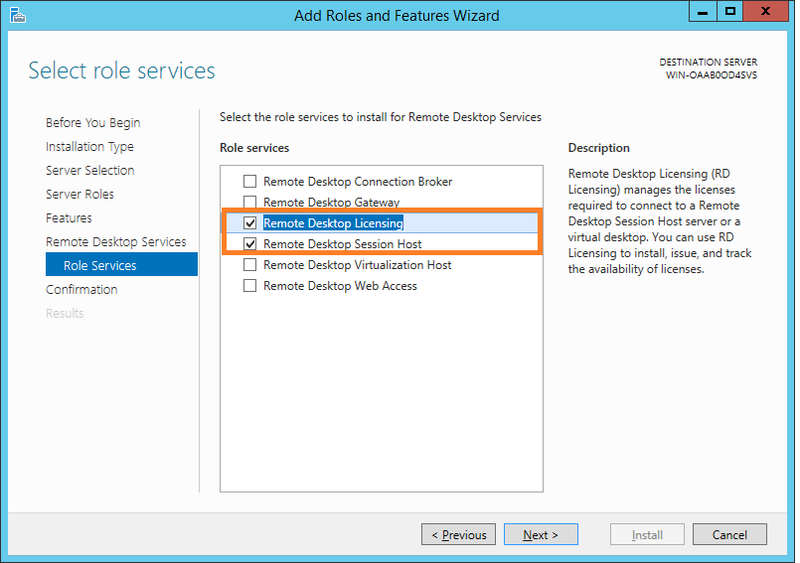 This Post will show you how to deploy a Remote desktop session server (RDSH) in a workgroup (non Domain). 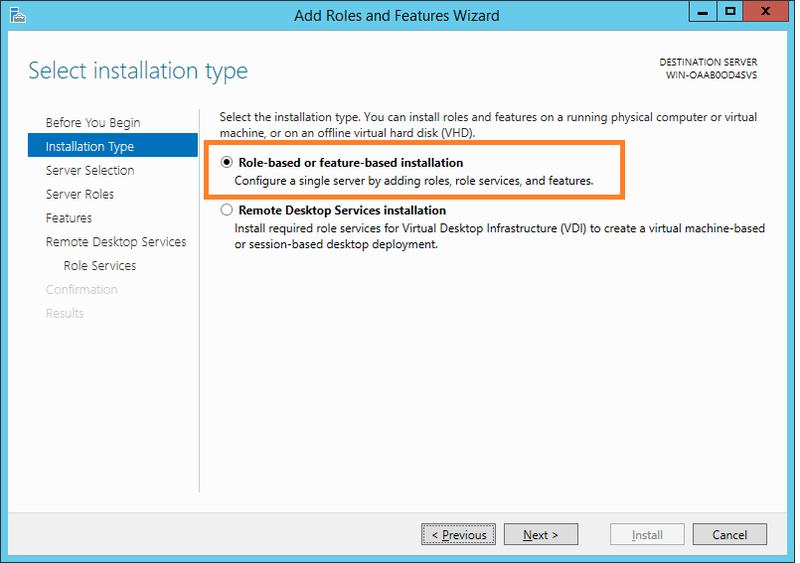 This deployment is Session based and will allow the use of desktop sessions. 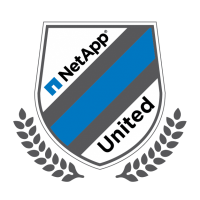 The down side to having a none domain joined Session host is that you will need to create users on the host and configure local Group policy’s to restrict user access. 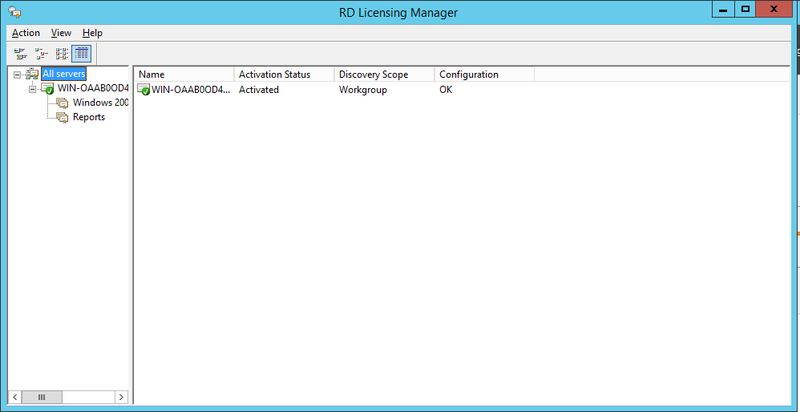 I have deployed a single server (non domain Joined) with Server 2012 R2. As this is a workgroup server (non Domain) you will need to configure the Fully Qualified Domain name. 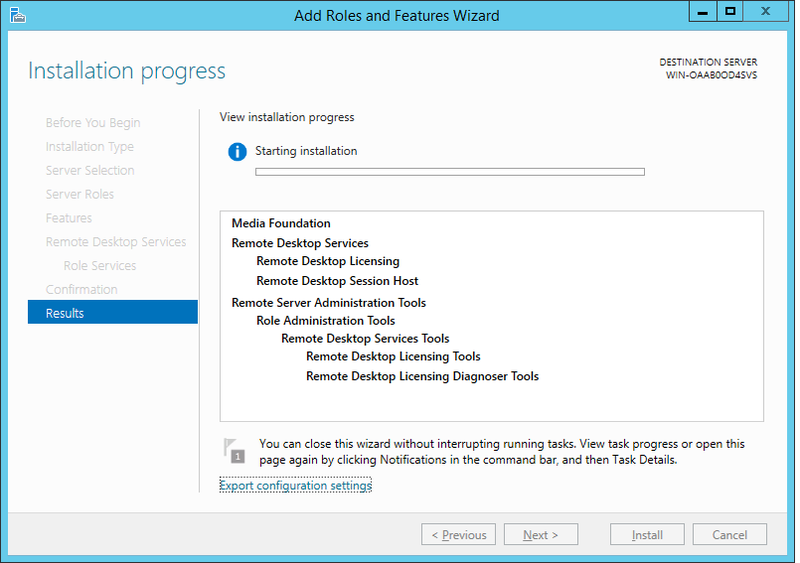 This image shows the roles and features that have been installed, as you can see the session host and remote desktop roles are shown as installed. 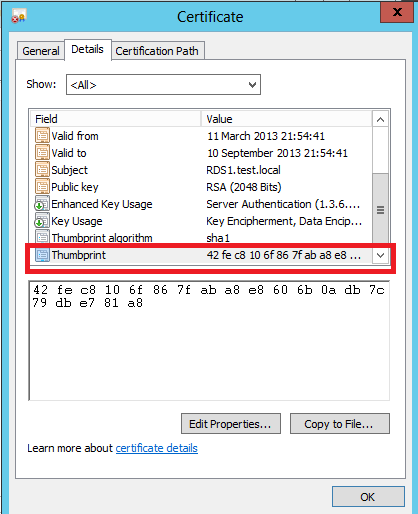 Firstly you will need to import your certificate to the Local Computer , Personal Folder as shown in the screen shot. 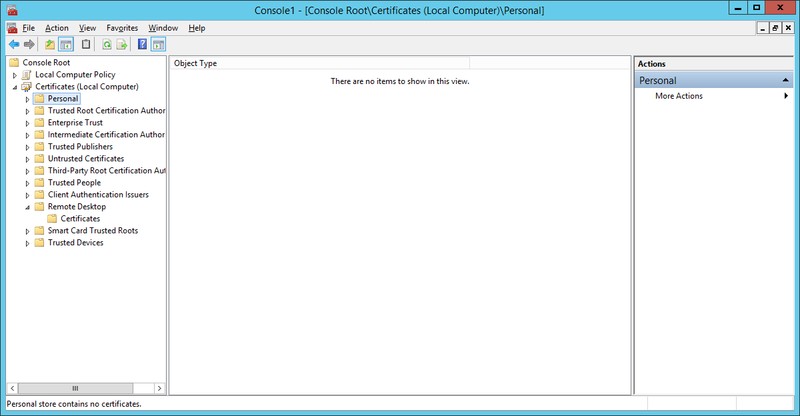 Before configuring RDSH Servers you will see a warning stating that the certificate is untrusted. This is because the configuration data for RDSH is stored in the WMI, Win32_TSGeneralSetting class in WMI in the rootcimv2TerminalServices namespace. You will need to change the certificate from default using the following commands. Firstly, You will need to find the certificate thumbprint. You will need to configure the licencing to allow multiple users to connect via sessions. 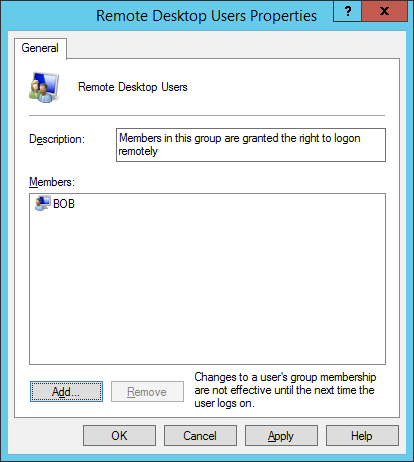 Add the users to the remote desktop group. As you can see from the screen shots, users cannot install roles and features or modify Group Policy’s with out Administrator permissions, I would recommend configuring local group policy’s to lock down remote users, as you would in a Domain. 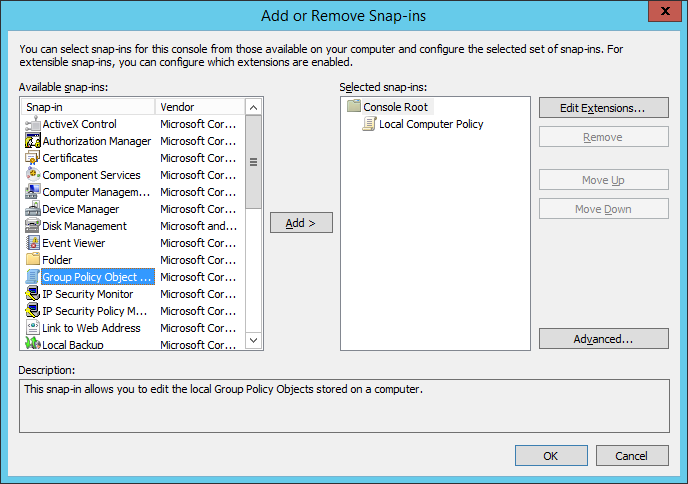 You can access the local group policy editor via MMC and add the snapin for the Group policy editor. 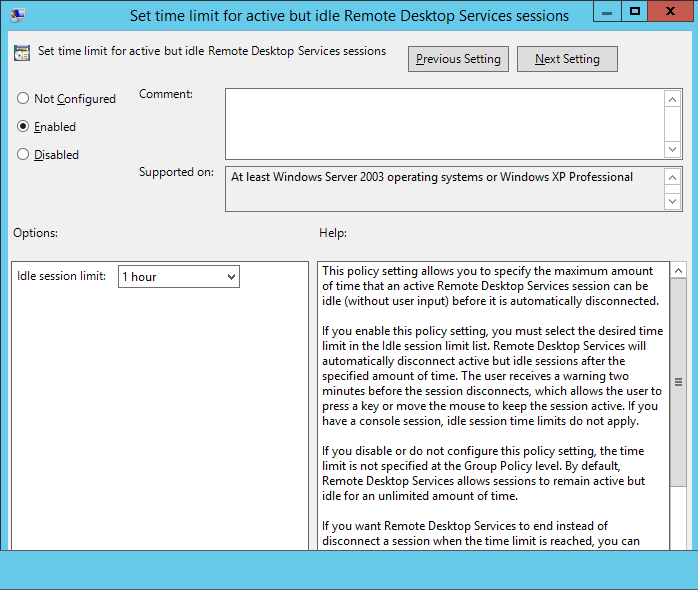 In the Group Policy editor, I have set the idle limit on the sessions so that if users are inactive for over a hour their session will be terminated. by right clicking on the user, you get a number of options including disconnecting the user, Sign them off, sending messages, and Connect which allows you to connect to a user session. You will need to be the user in question to do this. When users are finished with their sessions they simply sign out, or they can disconnect. There is no option to shut down the server for remote session users. If you need any assistance with this drop me a line, I believe we have already spoken. I can not find the Certificate to Import, Need a little more help with that part. The rest is easy! 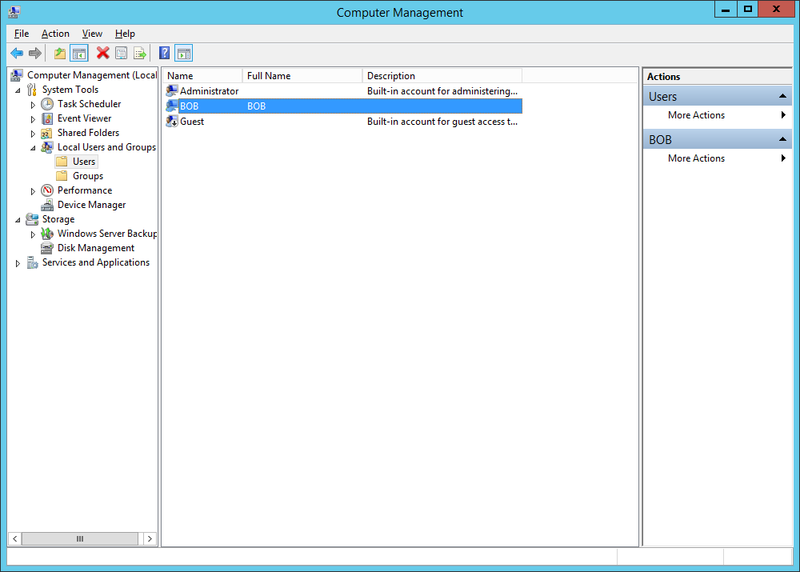 I also would like to use the management tools in workgroup configuration (non-domain). Thank u very much for deployment instructions above! Hello Mr Ray. i would like to ask about grace period on licensing server. I have problem with that. My RDS server has grace period 120 days and i cannot configure remote desktop session host. On remote desktop services it says that i’m not part of domain users. Thanks for your help. 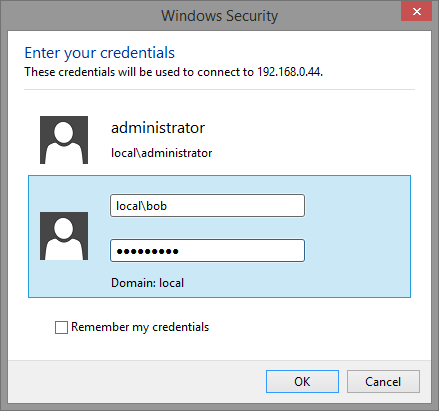 Ensure that you have logged in as a Local admin. Thanks for this guide, but I am stuck on the same place as Martin Svec. You said to log in as a domain admin, but how do you log in as a domain admin when there is no domain? my pervious was a typo, that’s now been changed. I am not sure what issue you are getting, so can you please provide a bit more info. thanks for the response, i’m not very good with servers especially 2012. i’m trying to configure the licensing and had to look up other guides to figure out how to do this. so i keep getting the message that the rds server has a grace period. i feel like i’m missing something easy, but i’m quite lost. You will see this message if you are trying to access the RDMS. If this is a workgroup build as in not joined to the domain. 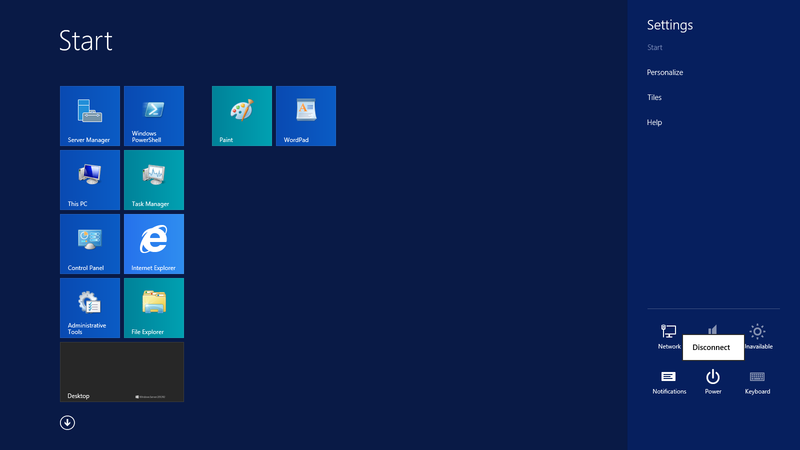 You will need to install the licencing role manually and then load the licencing MMC in the metro start menu. 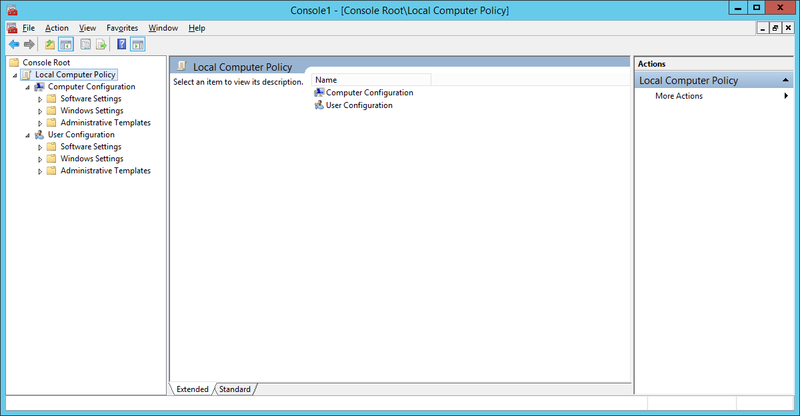 You can configure licencing using the local group policy’s on the Server and again this can be found in the MMC. 2. The remote computer is turned off. 3. The remote computer is not available on the network. I suspect that option 1 is the most appropriate. Is this what causes the failure? In my case the option was set to ‘Dont allow remote connections to this computer’. Switching this to ‘Allow remote connections to this computer’ and Apply resolved my issue. It is worth you adding this step to your blog. Hi Ryan – I’m attempting to configure Remote Desktop Services on a hosted VPS that is in a Workgroup, but I can’t configure the RDSH server. Is it possible in this scenario? How ? Hi! Thanks for the great description. I did everything as described (left out the gateway part) and now I’m heaving the problem, that – although I activated the license server and installed user-RDS-CALs – the server won’t issue licenses (and the grace period clock is ticking). Any idea what I can check? I also configured the server in gpedit.msc to use itself as the license server. 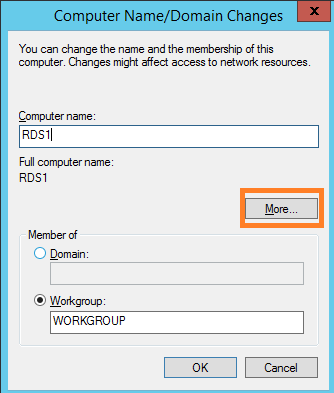 Could fix it myself: RDS in workgroup can only work with device cals – changing that helped! 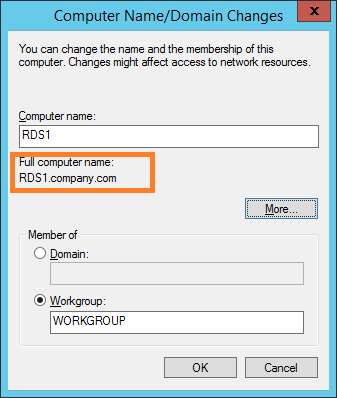 I installed RDS on a Windows 2012 R2 server in a workgroup (no AD) following the instructions from Microsoft kb2833839 article. Besides the fact that I have no RDMS, everything seems to work fine. The licensing mode has been set to Per User (mode 4). I can connect RDS clients with no message about the 120 days grace period. But I notice in RDS Licence server that the User CALs are not issued when RDS clients are connected to the server. 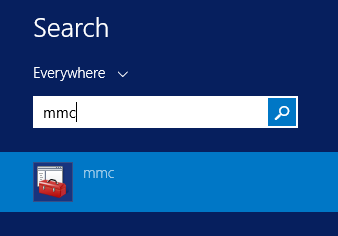 Point to note, you will need to manage rds using wmi and group policy as rdms is not available with out the connection broker which needs a domain. 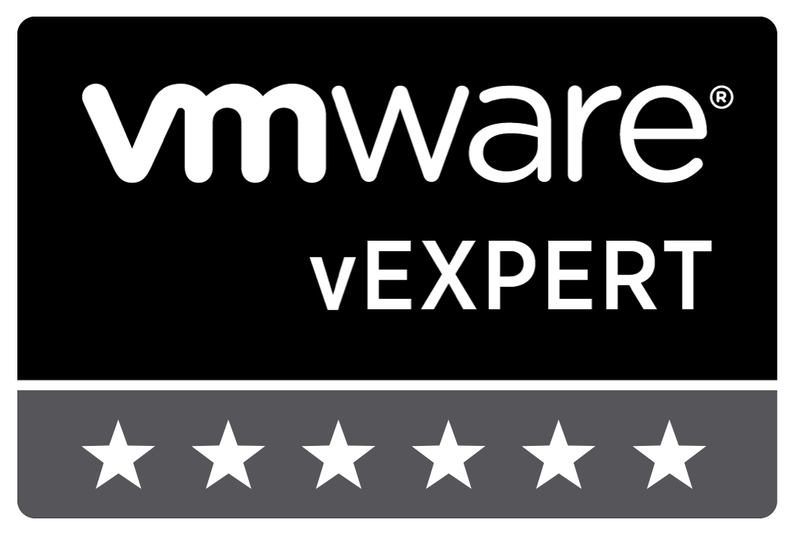 Where do you get the certificate that you need to install? 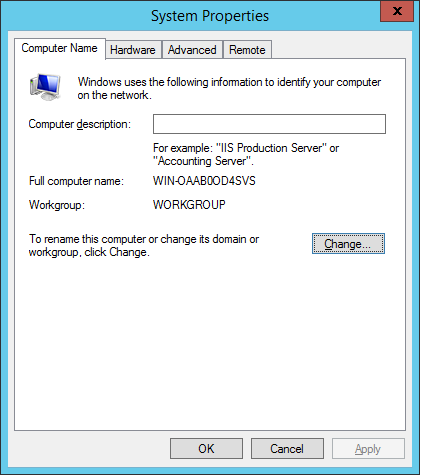 Is it possible to use User Profile Disks with a single RDS 2012 R2 workgroup deployment? If not how do you suggest storing Users on a separate drive? What is important for me would be similar to the Terminal Services Manager where I get to see whose logged in, disconnect, send message or log off a user. Is this what RDMS would do? Is there any way to use session Remote Control (shadowing) in a workgroup setup? The above iteration does not work. It wants a DOMAIN logon. How do I get around that? Ryan, can you go over the license requirement again? I am unable to run the Power Shell command without an error. 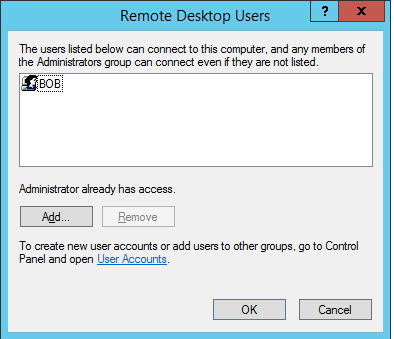 Thanks for the instructions and yes I got a standalone / workgroup server running with remote desktop services. Yay! 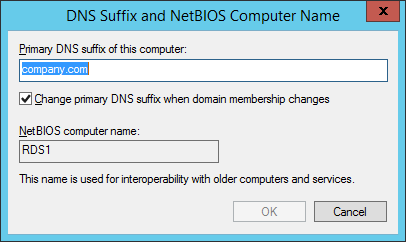 Next issue, if I now want to join that server to a domain, is it as simple as migrating user profiles and changing the server to join the domain or does RDS have the workgroup hard-wired to its settings ? Trying to follow your instruction on inserting the certificate for RDSH and the modifications that you are doing. Can you explain in more step by step detail on were to obtain the certificate to be inserted. You need to create one using IIS or other csr generation tools. Hi, do you have a tutorial for creating certificate? Still Stuck on where do I get the certificate from. Cant seem to find it! 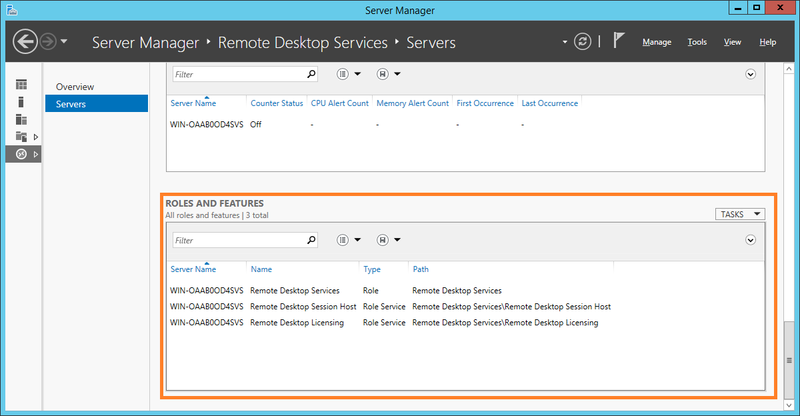 I had a question about a test server I setup with RDS setup on a workgroup server 2012 R2. my users are not getting assigned licenses by the server. I am still within the 120 days, but seeing it not hand out/assign the licenses makes me weary for a small production environment. Any tips? Workgroup hands out Device Licences. User licenses don’t work in this case. Ryan – I just want to be clear here, even though I have installed 5 user licenses your telling me the server will not work this way? I have to use device licenses? I’ll have to repurchase the the RDS licenses as device? Hi Rick, From the testing i have carried out. Only device licenses work on workgroup deployments. Thank you for the article. It helped me to deploy RDS on a workgroup. I would like to have 5 users. Do I need to buy a license for 5 devices? Or just 1 since it is a device license? Can anyone please comment on how they solved the licensing problem. Your help is much appreciated! If you have 5 users and one device then the 1 device license will do the trick. Hello Ryan, thank you so much for the tutorial. This is exactly what I need. I’m upgrading the network in a really small company, three accountants need to be able to connect remotely via RDP and launch an accounting program on the server, which will also have a MS SQL Express database. 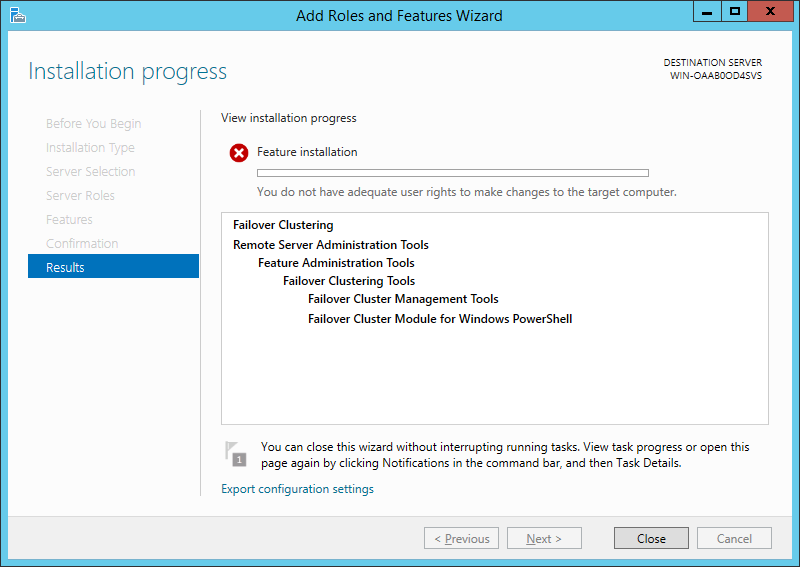 The question: can this be done on Windows Server 2012 R2 Foundation, with a single server? If so, apart from the Foundation licence, I will be needing three RDS CALs and nothing more, correct? Again, thanks so much. Hi Andrew, Specifying the requirements is not really a technical issue. I would recommend you confirm with MS on your requirements around licensing. So I have this all working but I’m unsure of what to configure re licenses?? 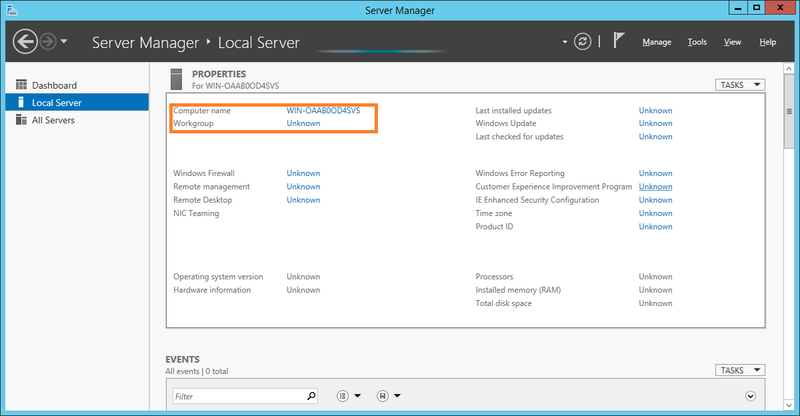 On 2008 you used the session manager and pointed at the license server but although the service is installed it doesn’t show up to configure. Or is the fact that I have device licenses installed all I need? Thank you so much Ryan. this is a really good guide, got it all working and issuing licences. I just wanted a simple standalone TS server here for testing and did not want to make the box a domain controller of a fictional domain and you have made it possible! For anyone else who makes this mistake: I jumped the gun and activated my (MSDN) licences early before following Ryan’s guide. This meant that the licences were associated with the non-FQDN server and certificate. I was able to right click in RD Licensing Manger and choose “Manage licences” then migrate them, after ticking in blood that the old server was non-functional (true of course). This gave a new line in RD Licensing Manger alongside the old one but the logins decrement this new block of licences correctly. Very helpful once again. Thanks for taking the time to write this. 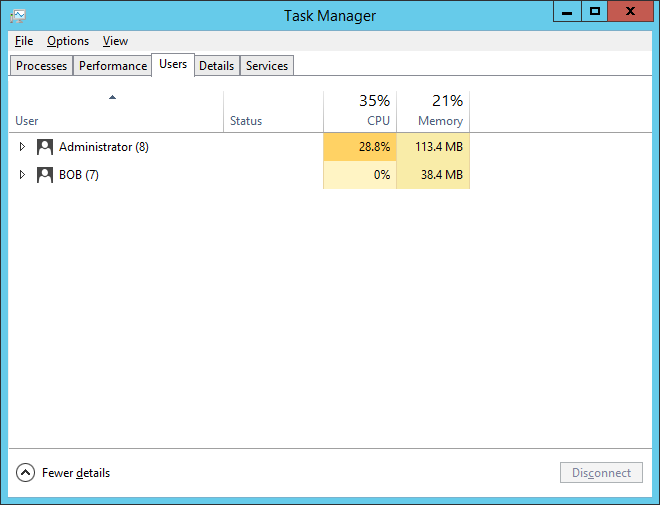 I used an Hyper-V machine to deploy the RDSH Server in a Workgroup and it works great! Ryan… Thanks much for this very helpful info. Clearly, it has saved the bacon of many of us that landed here. 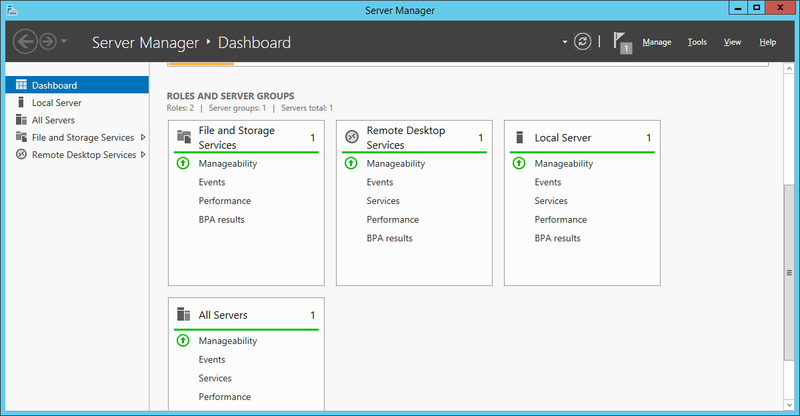 One question… will this work for Server 2016?